An old style, pixel-art graphic adventure, a noir story in black and white. 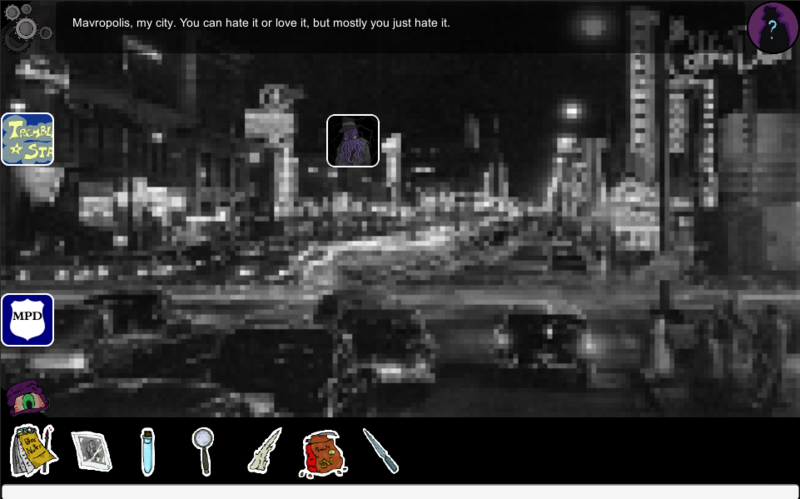 Mavropolis, a dark and corrupted city, where the crime rules and fear is the law. Here, you'll follow Mr. Gilbert, a private detective, in his mission: finding a missing girl. Nothing will be too easy, or to be taken for granted: you'll have to lead your investigations through a path of dangerous ladies, relentless mobsters, dark cults, corrupted policemen and infernal creatures. IMPORTANT NOTE: Caos is not a misspelling. It's not 'chaos'. It's Caos. 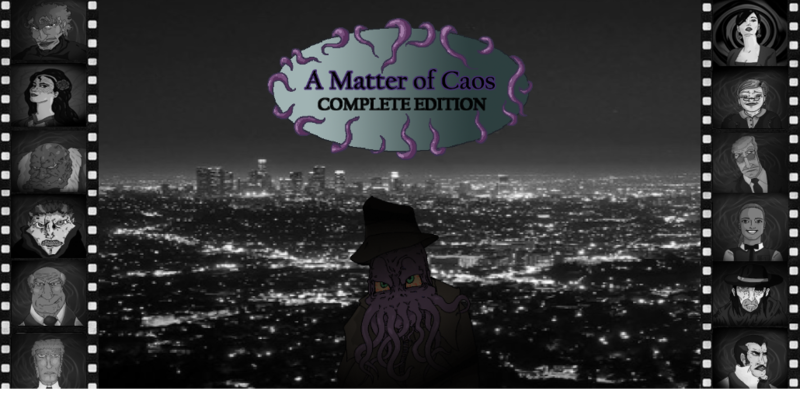 You can play the game in episodes on Kongregate.com for free. 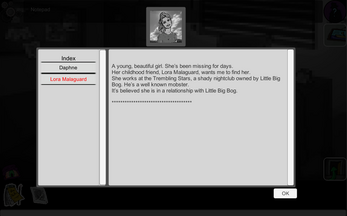 IMPORTANT: in this version there is a minor change in the story and more content at the end of the story! Moreover if you buy this version you will be able to download a package with ARTWORKS files and a small BOOKLET containing sketches and notes. With this small donation you will help us to develop a new Mr. Gilbert adventure; we have so many ideas about this project. 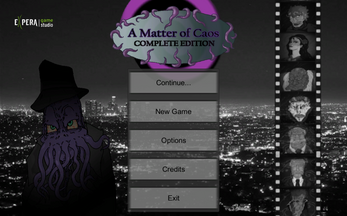 If you already played 'A Matter of Caos' series or you're going to play it and you like it support us as much as you can: even just speaking about us would be great!